Another way of getting your new film out is the use of promotional items. Most of the time it’s just the usual t-shorts and caps. I’ve run competitions in the past that give out this sort of things. Far too many to remember as it seems that every major film does this sort of thing. That’s all well and good until the PR company messes up the idea for the film. A great example of this was giving out small, branded, mirrors to various industry people. That seems quite nice until you realise this was for the film Blow. A film about a cocaine dealer. Another one along the same lines was for the film Teeth. A film about a woman who has a second pair of teeth a lot lower down than her face. That one wasn’t as bad as for Blow but a bit tasteless. Women’s underwear with “Bite Me” on them..
On the other hand sometimes you get the perfect promotional item. 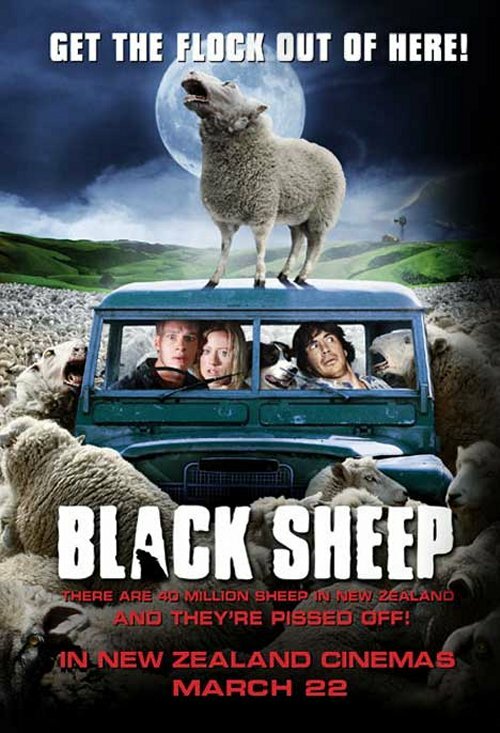 Such as the one for the low budget film, Black Sheep. A film about Sheep that are genetically engineered and have the lust for human flesh! That was a stress toy sheep with blood dripping from its mouth.